The ISCKON Temple in Bhubaneswar is a revered place for devotees. The idols of Lord Jagannath, his brother Balaram and sister Subhadra are bought to the temple during the chariot festival. They stay here for 9 days before returning back to the Puri Jagannatha Temple. 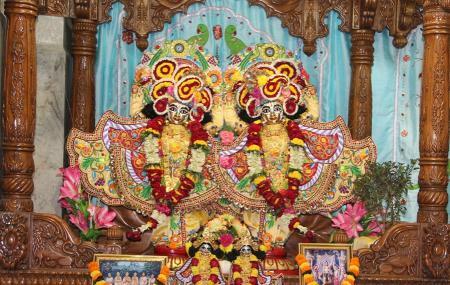 Apart from the idols of the trio, there are also idols of Lord Goura Nitai, Krishna Balaram, Radha Krishna, etc. Do not forget to visit this place and seek blessings of the lord. How popular is Isckon Temple? People normally club together Kalinga Stadium and Ram Mandir while planning their visit to Isckon Temple.